2. Select "Chords timing tool" from the "Tools" menu. 3. Click on Edit to enter the editing screen. 4. 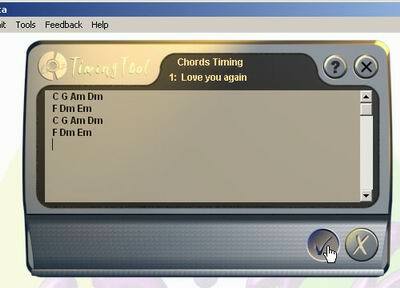 Type in the guitar chords for the selected track. 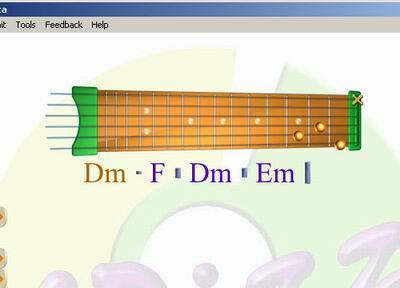 - Click "save" to save the chords and return to main screen. 5. Click on "Timing" to enter the timing screen. 6. 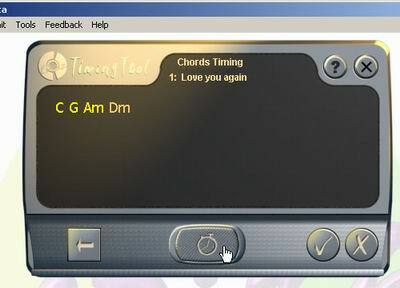 Click on the "Set" button to set the timestamp to each chord. Note: If you made an error, you may click the back button to return to the beginning of the current line. 7. When timing is complete, click on the Save button to save timing and return to the main screen. 8. To test your timing and watch it with CDizz click on the Test button. 9. 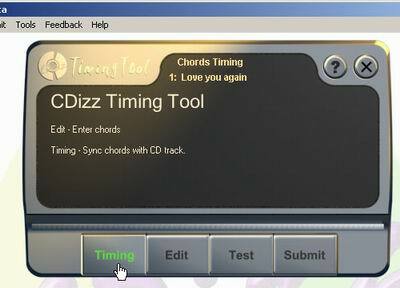 Click on the Close (X) button to close the tool and return to CDizz player. 10. To share your timing with others, click on Submit to open "CDizz Submit pages" on your default browser, and follow the instructions on the webpage. © Copyright 2003-2008 - Animagics Inc. All rights reserved.